Blue cheese and pecan stuffed chicken with spaghetti squash and sweet potatoes! – Hurried Home Chef! 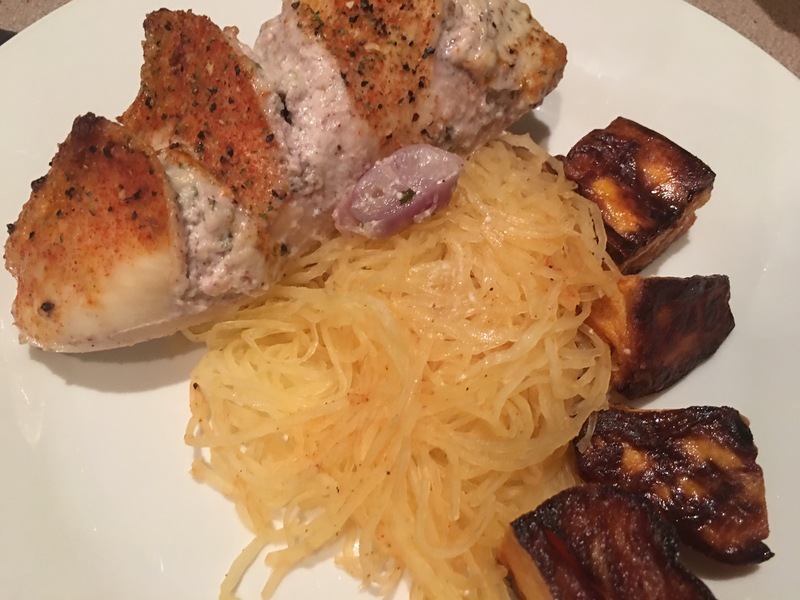 Blue cheese and pecan stuffed chicken with spaghetti squash and sweet potatoes! There’s a hurricane brewing and I’m trying empty the fridge and freezer. I started with placing some diced sweet potatoes in oil into a 350 oven. 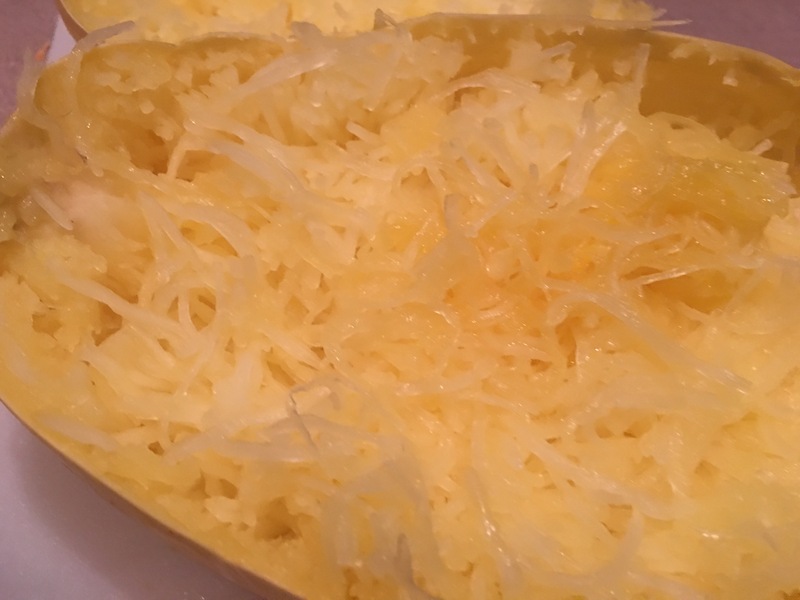 I also put a whole spaghetti squash after washing the outside. 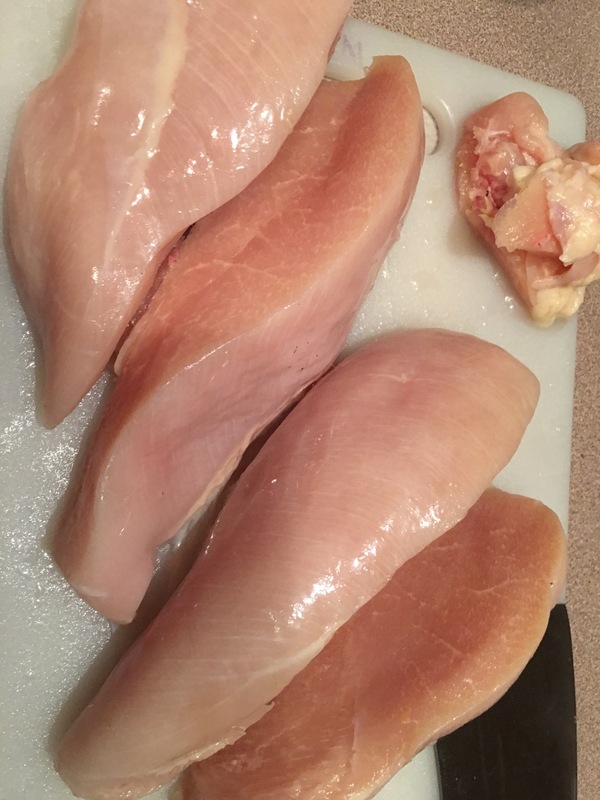 I took chicken breast, slice in half lengthwise and then make some slits for the filling. I used a pecan blue cheese dip I had left over (from TJs!). Or you can mix some blue cheese with crushed pecans and a little honey if you have it. 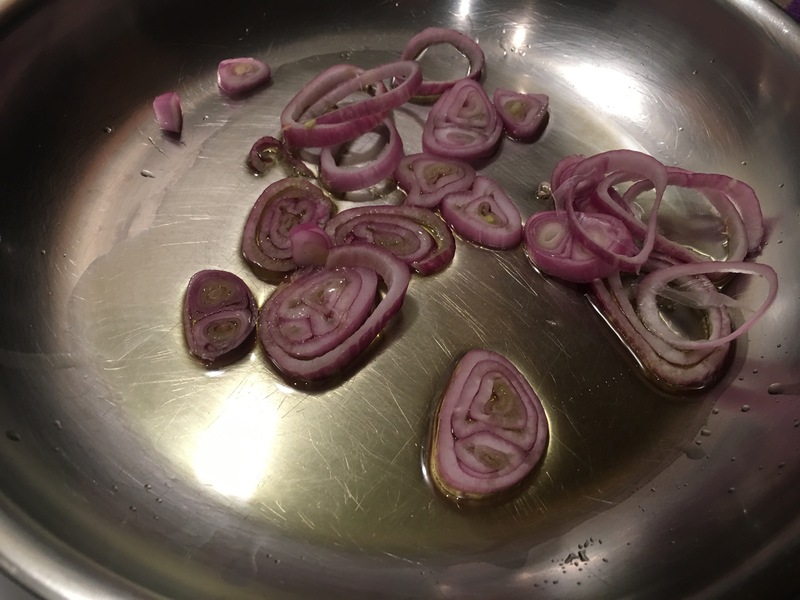 I added EVOO to a pan, let it heat up in the oven, tossed in some shallots then left in the oven a bit to sizzle. 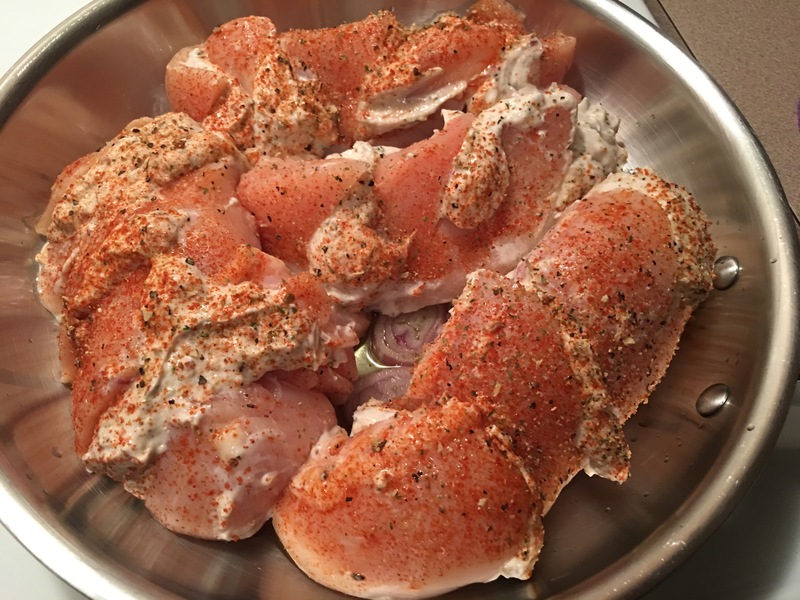 I topped the chicken with salt, black pepper, and cayenne for heat and color. Then back into the oven at 350 for about 30 minutes. At this point the veg has been in for 30 minutes already. After about 45 minutes of the squash being in, I cut it in half, removed the seeds and used a fork to separate the grains. Then I seasoned it with sat, black and cayenne peppers. You can also tossed with some marinara sauce and topped with mozzarella cheese and then put it back into the oven at this point. But I just felt like eating it like this since I had the blue cheese flavor already in the chicken. And here you have a off-the-cuff, use what you got, finish up what’s in the fridge kind of meal! Next Post Hurricane pork chops and green beans.